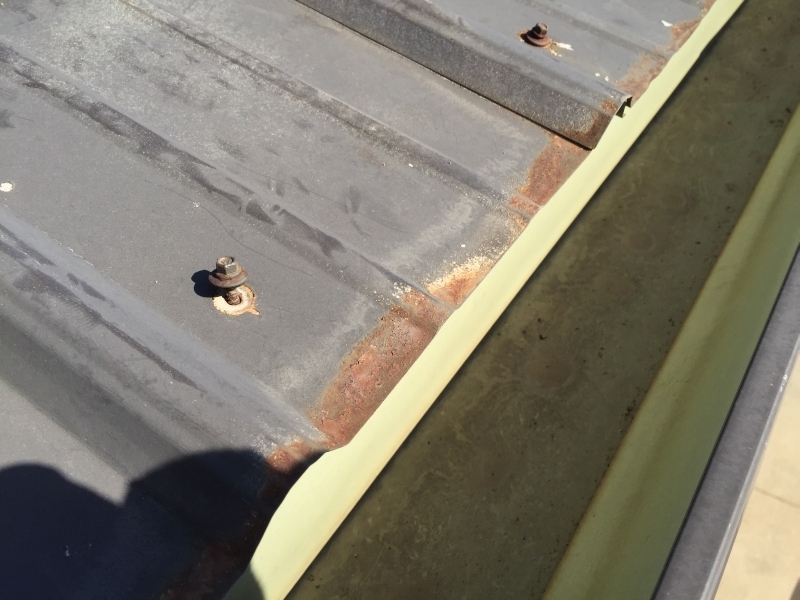 -First, the obvious, there are hundreds to thousands of penetrations holding your roof on. If the screw doesn’t hit solid wood, it’s going to back out due to expansion and contraction of the house. The metal is even more prone to thermal expansion and contraction. Steel panels can expand approximately one inch in 100 linear feet. 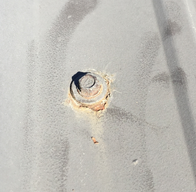 All of these screws are fighting against the metal’s natural occurrence. 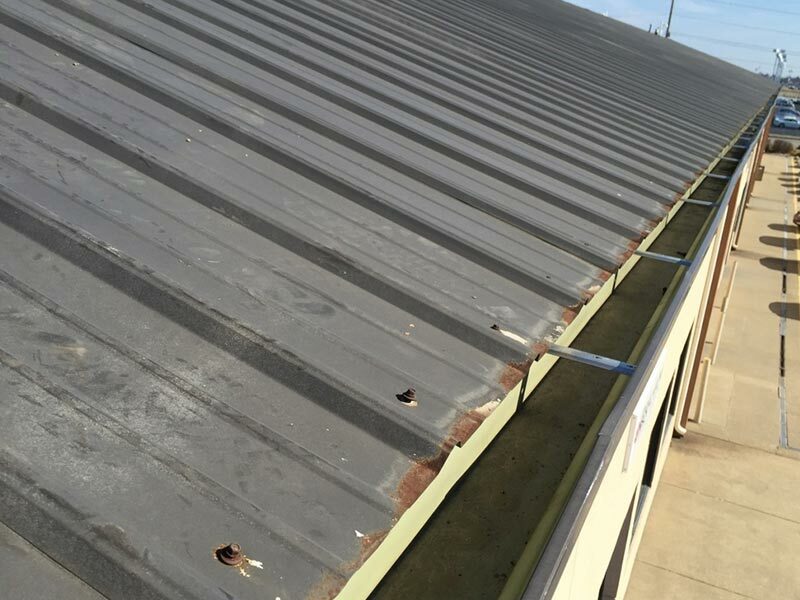 -Steel R-panels have foam closure’s, but they are hardly any protection against moisture backup, mostly for pest blockage. The bottom of the roof isn’t as much of a concern, but the valley is definitely at risk. 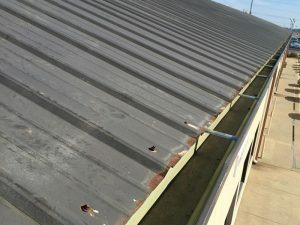 While it works okay, the much preferable “standing seam” metal roof is folded(hemmed) over a sealed cleat near the valley. This creates a hidden fastener sealed valley, and is similar at the eaves.-29 gauge is the common thickness in Southern IL. This will rust through much faster than a 26 or 24 gauge roof, and it’s more prone to being dented. 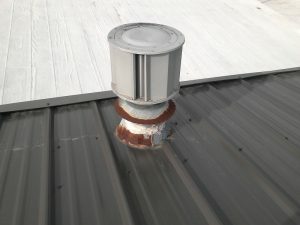 Some tout this metal as the holy grail of roofing, but it does have it’s downfall’s. 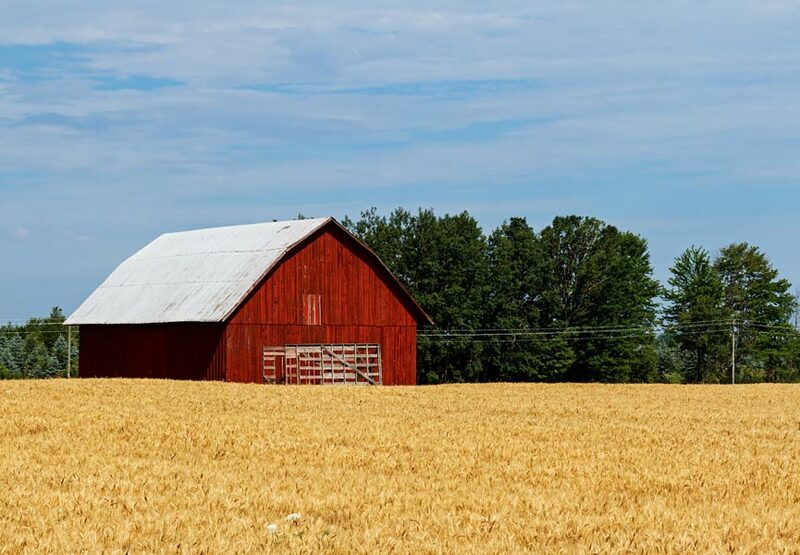 We have repaired at least four pole barn roofs on houses in the last year that WILL have a very short life. All of these roofs are less than seven years old. Watch who you buy from and make sure they are aware of the limitations of this roof type. Here are some more pictures of the 22 year old roof, which has already been painted to preserve the finish. These roofs are fine as long as you know what your getting. They aren’t the same as grandpa’s old barn that has been there for 90 years, materials have changed. If you’re interested in a lifetime metal (50 years or more) look for a 26 or 24 gauge standing seam or a stone coated steel shingle. I’d be glad to discuss this further in detail with anybody interested and give a free estimate on any type of roofing we install.